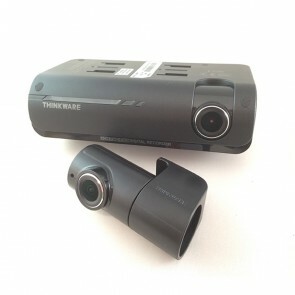 The Thinkware F200 is a mid range front dash camera, it records in 1080P Full HD. 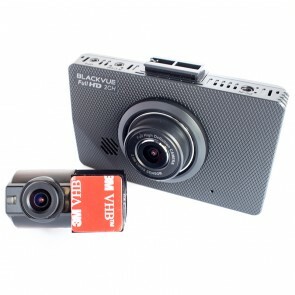 The camera has built-in Wi-Fi for easy video playback and an optional GPS antenna. This package comes with a 16GB card as standard. 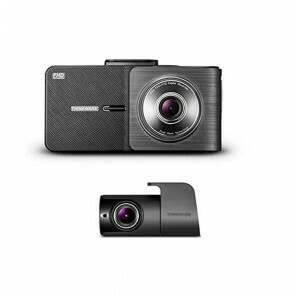 The Thinkware F100 is an entry level front and rear camera system. The front camera records in 1080P Full HD with the rear camera recording in 720P HD. This package comes with a 16GB card as standard. 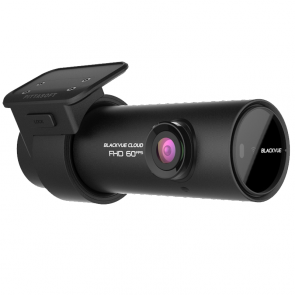 The BlackVue DR590-1CH is the entry level front camera system from BlackVue. It comes with a 16GB SD card and boasts an an ultra-wide 139° viewing angle with Full HD 1080p video recording @60 FPS ensuring the DR590 captures high quality video footage. 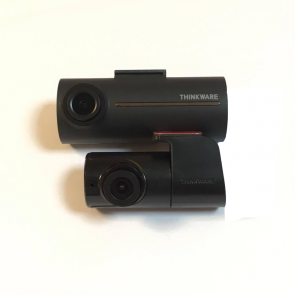 The Thinkware F200 is a mid range front and rear camera system. The front camera records in 1080P Full HD with the rear camera recording in 720P HD. The camera has built-in Wi-Fi for easy video playback and an optional GPS antenna. This package comes with a 16GB card as standard. 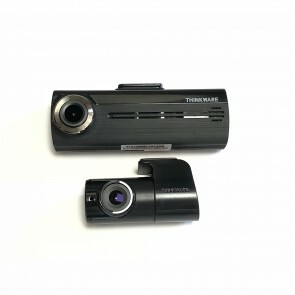 The Thinkware X550 is a high quality front and rear dash camera system that records in 1080p Full HD and boasts a 2.7" LCD screen on the back, making it the only front and rear camera system in the Thinkware line up with a screen. Please note that this camera comes with a 32GB micro SD card as standard. The DR490L-2Ch is a high quality 1080p HD front & rear dash camera with a 3.5" touchscreen display. Built-in G-sensor and parking mode protection with optional GPS for logging your speed and location. The F770 is the newest front and rear camera system to be released by Thinkware. This camera system has 1080p Full HD recording for both front and rear cameras, making it one of the highest quality systems available. 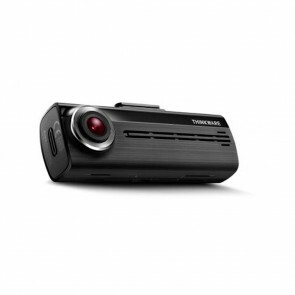 The Thinkware F770 also has time-lapse parking mode, which extends regular parking mode by over an hour. Please note- This package comes with a 32GB Micro SD card as standard. 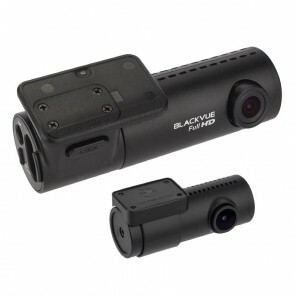 The BlackVue DR750S is the latest front facing camera from BlackVue, it has1080P full HD recording @ 60FPS. The built-in Wi-Fi allows you to connect a mobile device to the camera for quick and easy video playback whilst the GPS offers you the ability to track your vehicles speed and location data of video playback and has parking mode. Please note that this camera comes with a 16GB microSD card as standard. The F800 is the latest release from Thinkware. With a sleek new design and an improved sensor, the F800 has cemented it's place as one of the best dash cameras on the market. Please note that this packages come with a 16GB MicroSD card as standard. 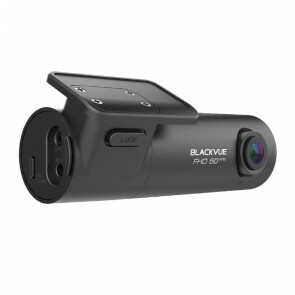 The BlackVue DR590-2CH is the entry level front and rear camera system from BlackVue. 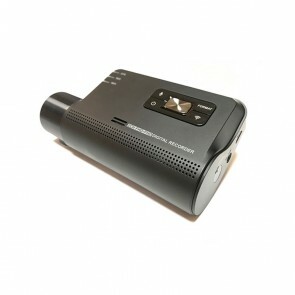 it comes bundled with a 16GB SD card and boasts an an ultra-wide 139° viewing angle and Full HD 1080p video recording quality @30 FPS on both the front and rear cameras ensuring that the DR590 captures high quality video footage even in low-light conditions.